How to Record Music from Spotify Songs and Playlist? 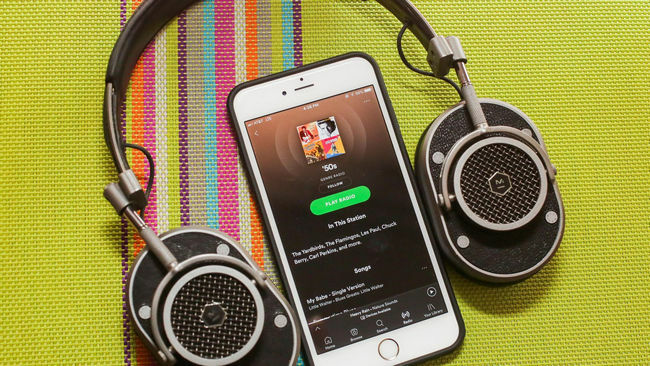 Spotify, as one of the most popular online music streaming service, offers two main tiers: Free and Premium ($9.99 per month) for users to access to over 30 million songs. And they each have different capabilities and limits. The Free one is with ads, you will not only see ads everywhere in the Spotify player, but also be interrupted when listening music. What's more, You can't download music for offline listening. How wasted the data traffic! On the contrary, Premium users can freely enjoy Spotify music without any ads and can download them for offline streaming. They can be served tunes at a higher audio quality. No matter whether you are a user of Free version or Premium version, all songs of Spotify are limited by DRM. You can’t stream Spotify music on any MP3 Player or directly download music from Spotify. How to Record and Convert Apple Music to MP3/AAC/FLAC/WAV Format? 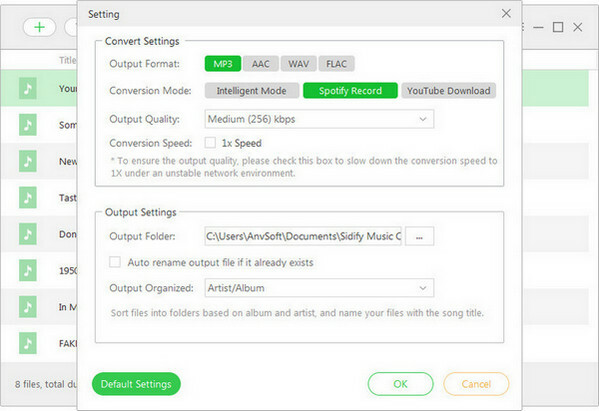 To start with, please download Sidify Music Converter for Spotify first on your computer according to your OS. In the following guide, we will take Windows version as an example to show you how to Record music from Apple Music and Convert them to MP3 format. Tutorial: How to Record and Download Music from Spotify Music to Computer? In this following tutorial, we will be focusing on the Windows version and show you how to easily record music from Spotify and convert Spotify music to MP3 format. 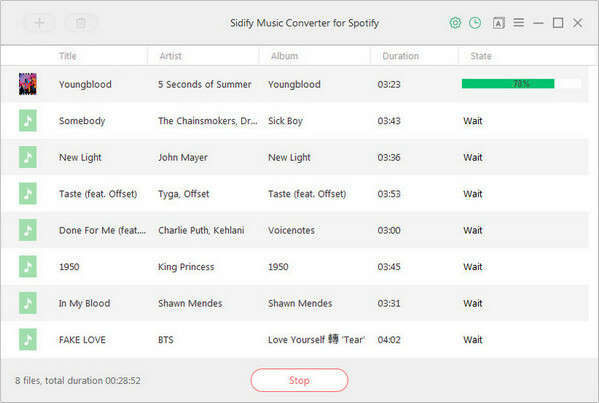 You need to download and install the free trial version of Sidify Music Converter for Spotify firstly. After installing Sidify Music Converter for Spotify on PC, just double-click the Sidify icon to launch it. At the same time, your Spotify will be launched automatically. Then click icon or "Click Here to Add Audio", a new dialogue will pop up to let you paste the URL of Spotify music. 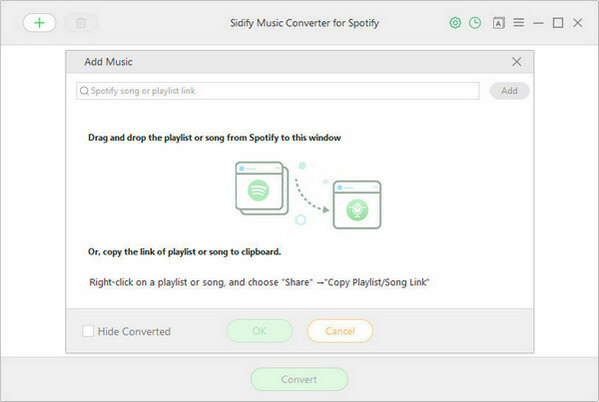 Or you can directly drag & drop the music or playlists from Spotify to Sidify Music Converter. Once adding the music URL(s), you can press "OK" to check the Spotify music you added. Then click button to customize the output parameters including output format, output quality and conversion mode. Here you can choose MP3, AAC, FLAC or WAV as the output format and High (320) kbps as the output quality. Press "Convert" button to start converting Spotify music or playlists to plain format. The conversion process will complete soon and you can click button to find the well-converted Spotify music. Like Sidify Music Music Converter for Spotify? Purchase the full version here.